If you are travelling abroad to have private medical treatment you are probably paying for the trip and the medical costs yourself. Few private medical insurance policies will cover treatment in private clinics outside the UK. But that doesn’t mean that you don’t need extra insurance for your trip; medical travel insurance is a necessity. Whenever you travel, it is a good idea to take out travel insurance, even if you are fit and health and don’t plan to have any medical treatment while you are away. If you fall ill or have an accident when on holiday, the medical costs of treatment there can be very high and you may also face a very large bill if you miss your flight home and have to make alternative arrangements. It is possible to arrange travel insurance for a particular trip, or to buy annual cover that will cover you and perhaps also the rest of your family for all the travelling you do in the year. This will cover you for medical problems that arise during your trip, but do not cover you for medical treatment outside the UK. If you don’t inform your insurers and fail to take out a specific medical travel policy, you may find that your insurers refuse to pay out for anything, even if all goes well but you need to claim for the loss or damage of your suitcase at the airport on the way home. Medical travel insurance tends to be much more expensive and covers you if you have a pre-existing medical condition that may need emergency treatment while you are away, or if you are travelling abroad specifically for a planned medical treatment such as cosmetic surgery. What Does Medical Travel Insurance NOT Cover? Medical travel insurance cannot pay or offset any part of the cost of your medical treatment when you are abroad. Nor will it cover any part of your travel expenses or your accommodation costs. Going abroad for medical treatment is a personal decision – medical travel insurance is not the same as healthcare insurance – and you usually have to pay all of the costs yourself. Most policies also exclude any problems that are caused by the policy holder engaging in dangerous sports during the trip. This is not likely if you have had surgery, but it’s important to bear that in mind. Why Have Medical Travel Insurance? 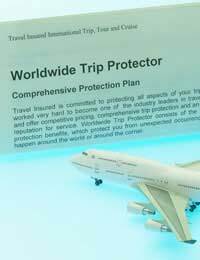 You need medical travel insurance for many of the same reasons that you have ordinary travel insurance. Your medical travel insurance will cover you for trip cancellation, if your belongings, credit cards or cash are stolen, or if your bags are lost at the airport. It will also cover you for around £5 million worth of emergency medical expenses so, if the worst happens and something goes wrong, you can be sure you will get the best emergency care. Medical travel insurance is available to cover you if you travel abroad for infertility treatment, cosmetic surgery, cosmetic dentistry, eye surgery, including laser eye surgery and obesity treatment. Some policies will also cover orthopaedic surgery and more serious operations but it is wise to check with the insurer that your particular procedure is covered. Not all medical insurance policies are the same and as well as reading the paperwork carefully, there is no harm in phoning the insurance company before you sign to make sure what the policy covers before you sign up. You must, for example, make sure that the policy applies to the country that you have chosen for your treatment – and that the specific clinic or hospital is covered. Some policies only cover particular accredited treatment centres in a named country or region. It is difficult to give a figure for the cost of medical travel insurance as this will vary so much depending on individual circumstances. It is likely to be much more than you pay for ordinary travel insurance for holidays and the seriousness of the procedure will also hike up the cost of the policy. For major joint replacement surgery or an abdominal operation, check that the policy will cover a change in your plans to travel home; if you are considered unfit to fly, you will need the support and back up for your insurance company to get home at a later date. I am considering bariatric surgery in Belgium and am looking for a company that can provide an insurance policy to cover me for costs should there be any complications before I get home. Looking for recommendations please. Going to Turkey for hair transplant, any suggestions for good travel insurance policies? Hi, I am going to Spain for IVF treatment, do you have any insurance for this please.